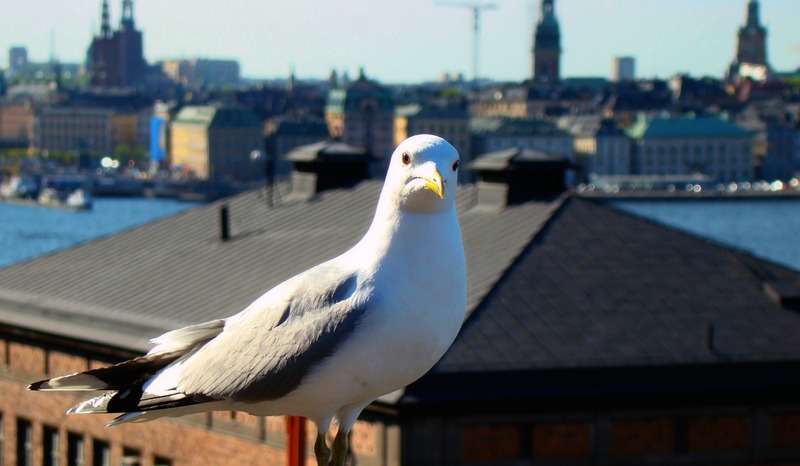 This Swedish seagull looks just as surprised and pleased as I am. Or at least as surprised and pleased as a seagull can possibly look. I’m so pleased to share that my recent piece, “Telling Stories with Invisible Objects,” was republished by Riksutställningar, The Swedish Exhibition Agency – and in Swedish, too! Att organisera berättelser kring föremål verkar vettigt i utställningsform. Men i en podcast eller ett öde landskap? SPANA:s gästskribent Katie Bowell skriver om konsten att bygga berättelser kring det som lyssnaren eller besökaren inte ser, och hur visuell frånvaro kan bli en styrka. You can find the piece here, along with many other excellent explorations of museums, exhibits, and interpretation on Riksutställningar’s website. And don’t worry if your Swedish isn’t as good as mine,* they also publish articles in English. *Everything I know, I learned from the Ikea catalog.